Depending on where you read the stats, the number of podcasts ranges from ~250K all the way to 2 million! Um, that last one is not correct;) Are we oversaturated with podcasts? Do you feel like there are too many options? Is there room for another podcast about podcasting (insert any niche you prefer). Join Ray, Dave, Daniel, and Josh for a discussion on recent podcasting news stories. 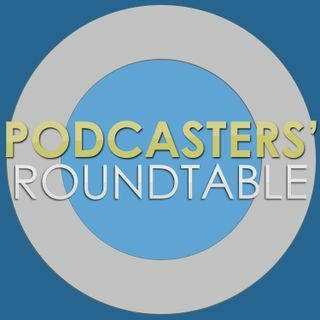 Subscribe to PR on https://YouTube.com/podcastersroundtable You can subscribe to the episode mailing ... Maggiori informazioni list to get new Rounds delivered to your inbox automatically. Sign up, if you'd like to appear on a future Round.